You'll pay less for an "inspired by" scent. 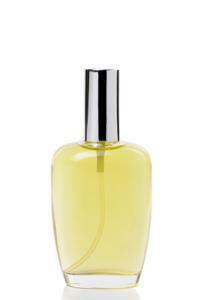 Imposter fragrances are recognized for their duplication of much more costly scents. They're sold at a fraction of the price of high-end scents and are usually marketed as exact replicas of those coveted designer perfumes. Despite their great popularity, imposter beauty products are often the subjects of controversy. You're in love with the hottest new Dior fragrance, but can't exactly afford to spring for an expensive bottle of perfume right now. If it's not Dior, it's Chanel, Fendi, Marc Jacobs, Michael Kors or another major designer whose foray into beauty has obviously been a major success. That success is evident in the popularity of even the most expensive fragrances. For some individuals, though, it's just not practical or possible to spend the big bucks on the big names. That's where imposter fragrances come in. They're fairly blatant in advertising the scents they're duplicating, which can make them quite appealing to consumers who are interested in specific fragrances. Imposters are usually available in everything from the most time-honored, classic fragrances to new scents that are only just beginning to earn a permanent spot on the shelves. When it comes to imposter scents, there are many pros and cons. Some individuals would argue that there are more cons than pros, but it's also safe to say that there's a large contingent of fans that collect imposters in the same way that others collect designer scents. The most obvious positive about imposter scents is the price. The differences are striking. For example, a 1.7 ounce bottle of Jennifer Lopez's introductory fragrance, Glow, is sold for $47 at Macy's and $38.99 at Target. On the other hand, a 1 ounce bottle of Sensuale, the Glow scent created by Parfums de Coeur's Designer Imposters collection, is sold for $9.49. Obviously, even with the difference in size the contrast is remarkable. Another pro is commitment - or lack thereof. Imposter scents can come in very handy for individuals who are fickle fragrance fans and whose tastes tend to change quickly. Going through an entire bottle of expensive perfume suddenly becomes a chore if you tire of it after the first few sprays. There's less guilt involved (and obviously less burden on your wallet!) when you opt for a cheaper scent that claims to smell the same as the more expensive scent. On the flip side, imposter scents are considered by some to be the designer handbag knockoffs of the beauty industry. One of the biggest drawbacks is longevity. Knockoff scents have a tendency to fade very quickly, whereas most authentic perfumes will last for longer periods. This difference can be attributed to the ingredients used; authentic scents are crafted with high-quality oils and other components, while imposter fragrances usually contain a very high water content.Additionally, imposters may not be as true to the authentic scent as they could be. At first sniff, the scents may smell just like their expensive counterparts, but few imposters can accurately meet the balance of top, middle and base notes that the originals do. In an authentic perfume, the top note is immediately discernable before it dissipates to reveal the middle note, which fades to reveal the base note. Some imposter fragrances can only manage to develop the top note before fading completely. Obviously, this won't be an accurate representation of the fragrance it's meant to be duplicating. Of course, fragrance is a very personal thing, and what smells awful and fades quickly on one person may smell great and last a while on another. If you're interested in a particular imposter scent, test its longevity in the store if testers are available. You'll know then if it's worth the money or not. Parfums de Coeur: This line's Designer Imposters collection is what started it all in the 1980s with the introduction of Primo, a replica of Giorgio. The line includes a wide range of scents for both men and women. instyle Fragrances: A more recent addition to the imposter world, instyle touts itself as creating "impressions of the world's most popular fragrances." You'll find scents for men and women.